I hope you had a good weekend, pursuing those things that make you happy. 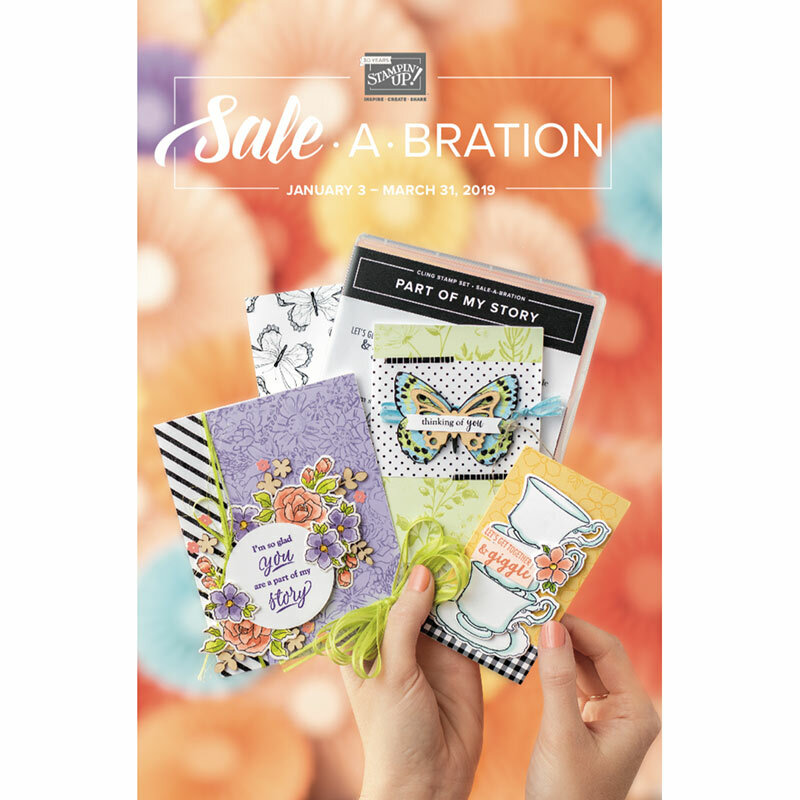 For me, I spent a part of Saturday visiting the gift shop where I will be selling my cards and personalized invitations, favors and embroidered goods. The shop, in Hatboro PA, is open 7 days a week. More details to follow! During most of the week, the shopkeeper and her staff will sell my things with 100% of the income coming to me. On Saturdays throughout the holiday season, I'll be on site, helping out at the store and demonstrating papercrafting. I have opportunities for crop nights on site, doing make-n-takes, and arranging other sorts of special events. Of course, special events that attract buyers to the shop benefits the shopowner too! OK, back to today's featured card. 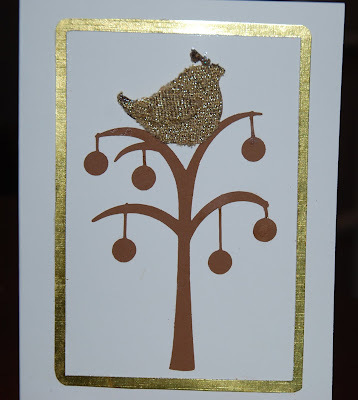 This simple but elegant card was cut using the Cricut Cake Basics cartridge for the gold border, and the Cricut Winter Frolic cartridge for the Partridge in a Pear Tree. To accent the partridge, I fussy-cut a piece of gold rib knit (as in a sweater) in the same size as the bird. I also cut a complementing wing from the same fabric. I used Stickles for the delicate feather coming from the bird's head, and a little dab on the tail feathers for highlight. 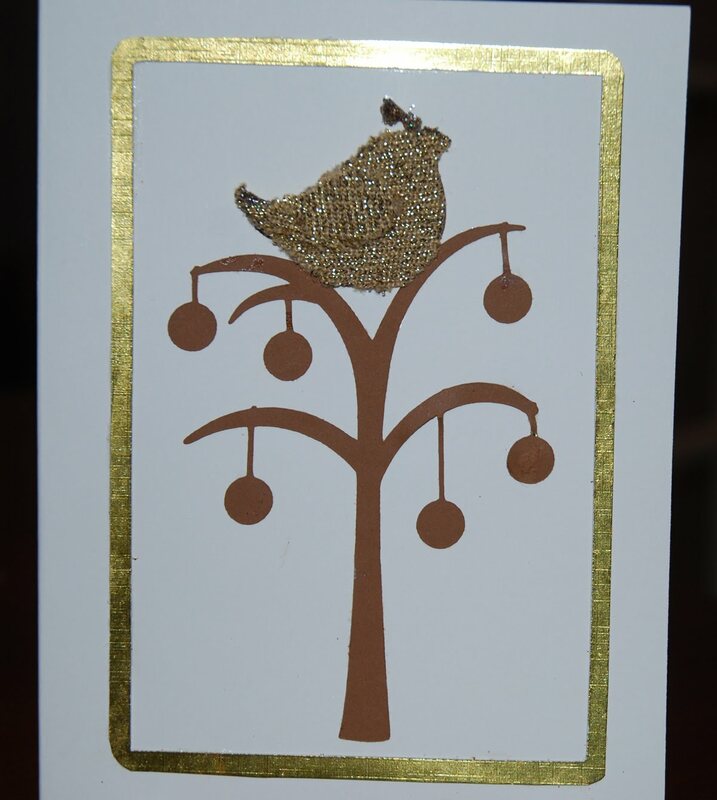 The inside sentiment was printed on the card (prior to decorating) in brown ink. 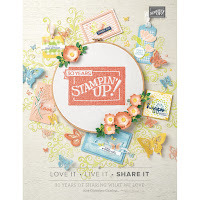 Have you tried any mixed-media cards, like this one?